Want even more reason to look forward to sleep? 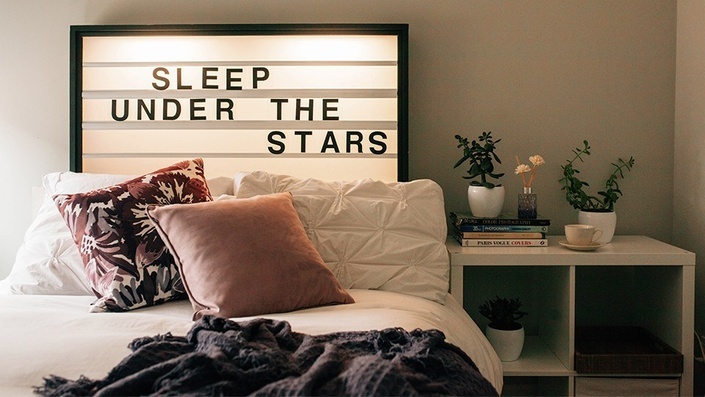 Create a lightbox headboard and make your bedroom décor pop. 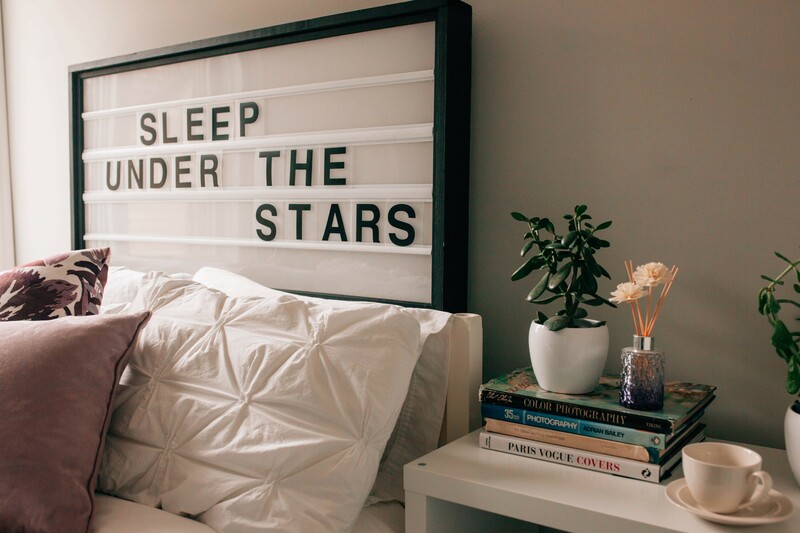 You can choose your own message—anything from “sleep under the stars” to “goodnight moon”—to make your headboard unlike any other. And when someone asks where you found it? You can proudly say you built it yourself. This project is a big one—but so is the payoff! You’ll finish the class with a cool, quality piece of furniture. 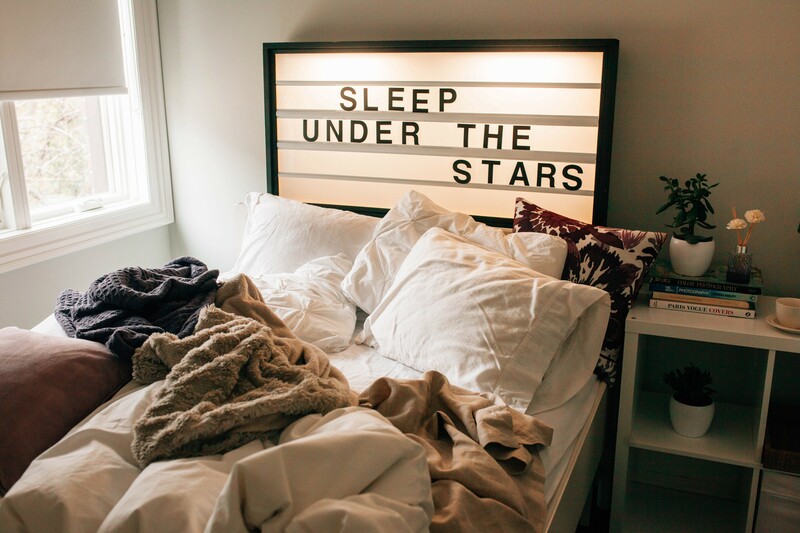 End up with your own headboard, built from scratch! Acrylic sheet 48" x 24"
White board 48" x 24"
Share your work of art! Log in to BeMakeful.com to share your completed project with a growing community of creative makers. What currency are the courses in? All courses are in US Dollars. Let us know at hello@bemakeful.com!